Last month, Next Avenue asked readers to share with us your questions about aging in place — being able to live where you want safely, independently and affordably as you grow older. For most people, that means staying in their own home. Even if you are currently in good health, you can probably guess what kinds of things you may need in the future. As one reader wrote, “I am 71 and still robust, but know I am facing declining mobility and vision". Many people are brought face-to-face with this reality for the first time when they experience a fall. A broken hip or wrist can severely hamper your ability to care for yourself — to get in and out of bed, go to the bathroom or fix meals. Other physical ailments like osteoarthritis, heart disease, macular degeneration (an eye disease) and incontinence are common as we age. When health issues or lack of exercise lead to weakness, it can be difficult to get everyday household tasks done. You may need help with light housekeeping or home repairs. Your health may also impact your ability to drive safely. With these in mind, assume that your future needs may fall into five areas: 1) health care, like assisting you with medications or home treatments; 2) personal care, like helping you get out of bed, get dressed or go to the bathroom (also known as custodial care); 3) transportation to medical visits and social outings; 4) nutrition, such as providing or helping you with meals and 5) house care, like cleaning and repairs. A good resource for finding older adult and caregiver services in your local area is the Eldercare Locator. A service of the federal Department of Health and Human Services, it is both a website (where you can search by your ZIP code) and a telephone service, at 800-677-1116. The Eldercare Locator will direct you to, among other things, the Area Agency on Aging (AAA) for your county or city. The AAA can provide leads on a broad range of resources near you, such as transportation options, Meals-on-Wheels and home health care. Medicaid (which is available for low-income households) may cover in-home, long-term care services depending on which state you live in. Check with your state Medicaid office for details. The new CHRONIC Care Act, which became law in February, gives Medicare Advantage plans more flexibility so they can now cover “non-medical” benefits like home bathroom grab bars and wheelchair ramps for the chronically ill. These benefits will begin in 2020. That law also covers more telehealth services (providing health care remotely through electronic means) for people with Medicare Advantage plans, beginning in 2020. In addition, Medicare Advantage plans will be able to offer services like home-delivered and medically tailored meals (now available only to people with a very small number of conditions) or home aides to help with daily activities. That’s according to a recent Next Avenue piece by elder advocates Bob Blancato and Meredith Ponder Whitmire. “Such services will be crucial in allowing Medicare beneficiaries to stay in their homes as they age as opposed to requiring institutional care,” they wrote. Since Medicare Advantage plans are private plans to supplement Original Medicare coverage, their benefits vary. 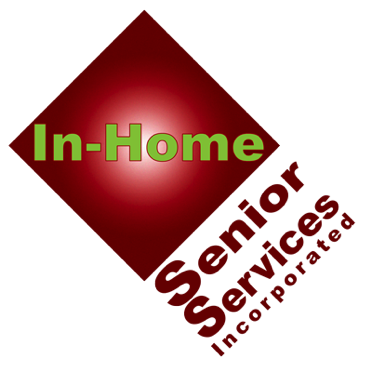 How Can I Evaluate Home Care Providers for My Parents? If you need to line up help for your parents and live in a different state, there are tools that may help. See these tips from the National Association for Home Care & Hospice on selecting a home care agency. In addition, check the Better Business Bureau to find out if there are complaints against a particular agency. Ask other trusted people in the area, such as your parents’ friends or religious leaders, for referrals.